"Not enough data available to display statistics"
A week later it is still the same. Reports we receive are (or should I say "seem to") be ok. 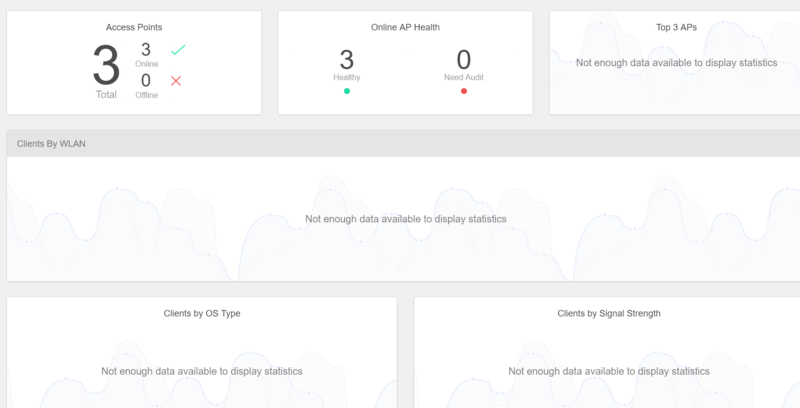 I can see the number of AP's, I can get into the cfg data but I can also not see in the Dashboard\Clients the list of connected clients although I know for sure there are connected users. Firmwares are 2.2.0.0.44 on all and rebooted after firmware update (a lot of weeks ago). Can you please share the serial number of AP's to [email protected] ? I will take a look at it.